Displaying items: Momentum, vehicle speed, oil pressure, coolant temperature, engine load, intake manifold, pressure, throttle position, the values of oxygen sensors, air intake temperature etc. Uses fastest and most reliable ARM chips, support OBDII protocols, record various parameters, display real-time operating performance of the car. 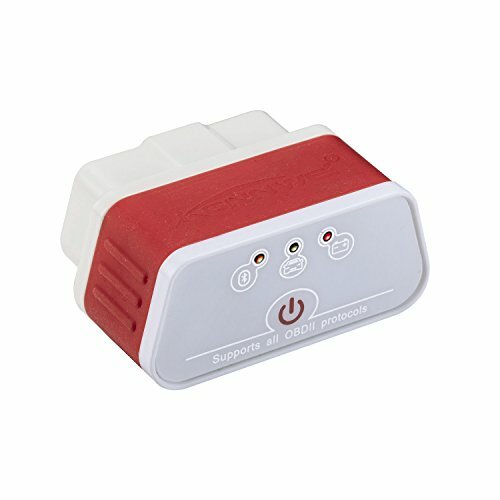 Can connect to any computer, tablet or smartphone with Bluetooth, comes with associated diagnostic procedures. Small size, compact structure, no wires or batteries powered by the diagnosis size sockets.